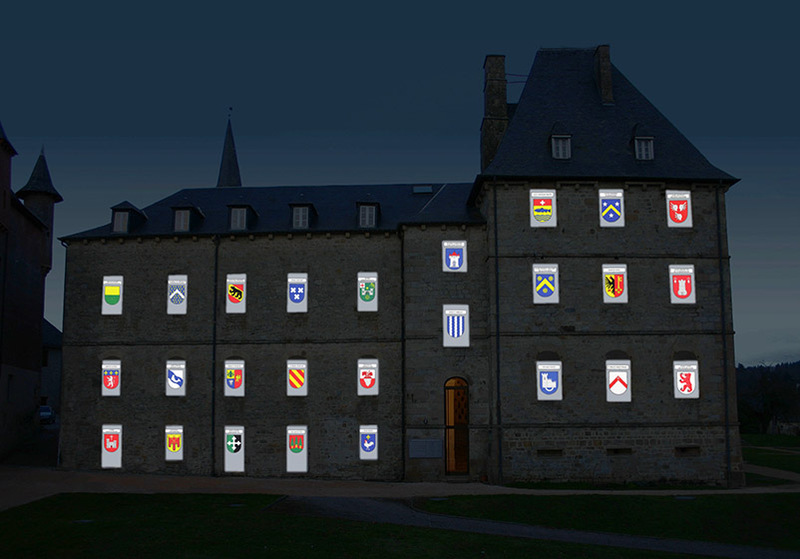 The Centre of Contemporary Art Meymac, located in the French region of Limousin since 2005, present as an event announcing the Christmas day, an Advent Calendar. To this end, each international artists are invited to use a window of the former Benedictine monastery. 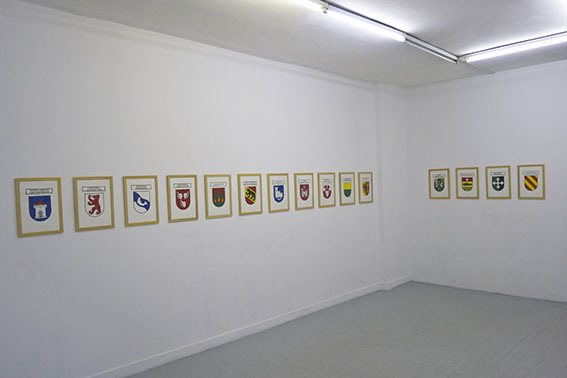 In 2012, the art project was assigned to Simon Beer. The source of his Advent calendar is a 930 km long walk which began in summer 2012 during which the artist set a specific trip from Zurich to Meymac over a period of 25 days. Each day, the setted road ends in an abbey. A convent or a rectory in which he is not only proof his tiredness on the contrary he always tries to talk to the pastor. It is from this talking about the art project, from his personal experience, from his state of mind, but also from the last issue he asks : « Which advice can you give me for to continue my walk ? » Simon Beer will extract the quintessence of the day which will be the slogan of the day. Whether it’s a biblical passage, a set of basic terms, a religious or spiritual advice the specific advice from the day is translated in Latin. 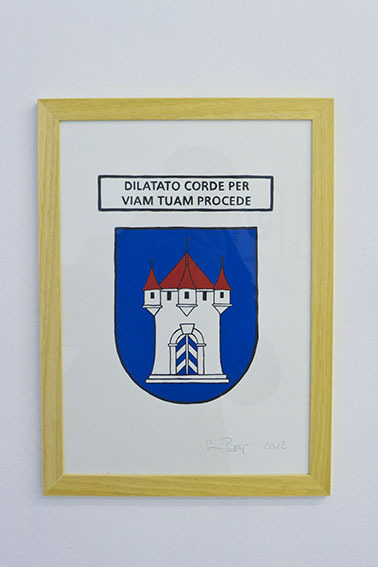 Fot this monumental Advent calendar Simon Beer asked someone to draw the blazon of the sites on a A3 format page (Acrylique on paper) abd with this one, he asked someone to write the quote of the day so that the whole was transferred on the windows of the cloister. In Adventus in Meymac represents on each windows the end of a daily adventure. The whole calendar reflects the course of this walk. With these illumated holes from the daily Advent the spectators are able to acess to their own space of thought, thanks to the quote of the day. 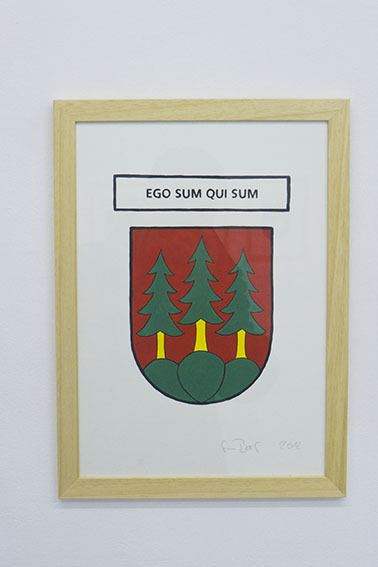 Interior view CAC-Meymac, Original coat of arms with aphorisms (Acrylic on Papier). 1th day, Zürich-Oberstrass: Avance sur ton chemin le coeur ouvert. 5th day, Langnau im Emmental: Je suis celui qui est. 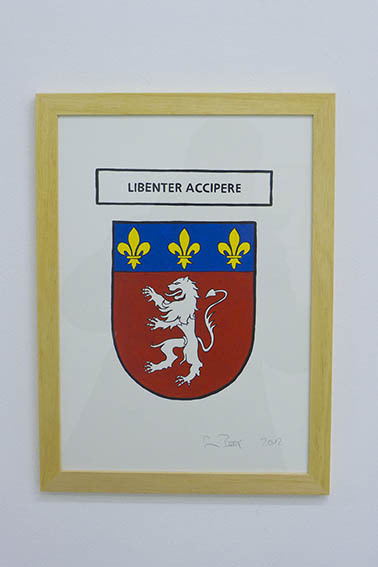 16th day, Lyon: Acceuillir en liberté. 25 December, overall view by night of the facade, Centre of Contemporary Art Meymac.